Living organisms use energy released by respiration for their life processes. There are two types of respiration – aerobic (which needs oxygen) and anaerobic (which doesn’t need oxygen). Unlike aerobic respiration, anaerobic respiration does not need oxygen. It is the release of a relatively small amount of energy in cells by the breakdown of food substances in the absence of oxygen. is not completely broken down, so much less energy is released than during aerobic respiration. to carbon dioxide and water later. This causes an oxygen debt - known as excess post-exercise oxygen consumption (EPOC) - that needs to be ‘repaid’ after the exercise stops. This is why we keep on breathing deeply for a few minutes after we have finished exercising. Ethanol is the alcohol found in alcoholic drinks like beer and wine. 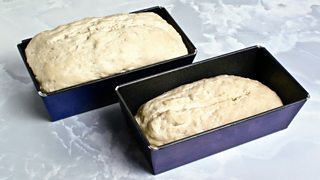 In bread-making, bubbles of carbon dioxide gas expand the dough and help the bread rise. The table summarises some differences between the two types of respiration. Aerobic respiration releases 19 times more energy than anaerobic respiration from the same amount of glucose.